Pando to lead software development, IT infrastructure responsibilities. 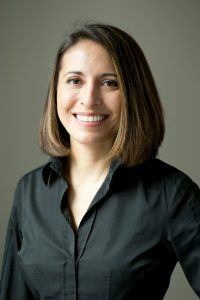 Alicia Pando will serve Adams Street Partners as a partner and chief technology officer. Alicia Pando has joined private markets investment management firm Adams Street Partners as a partner and chief technology officer, where she will lead the $32 billion firm’s software development and IT infrastructure responsibilities. Pando has more than 20 years of software development and technology leadership experience in both the institutional and start-up worlds, spending 12 years at Magnetar Capital, in addition to roles at Citadel Investment Group, Think Tools, and UBS. In her last role at Magnetar, Pando served as the firm’s COO of its fundamental strategies business. She had also served as Magnetar’s CTO. At Adams Street, Pando will be a member of the firm’s operating committee and will report to Jeff Diehl, managing partner and head of investments.